To support our faculty & staff, we will be posting bike-related articles throughout the month: tips, tricks, information, and – my personal favorite – profiles of Seattle Pacific University professors and staff members who commute by bike. 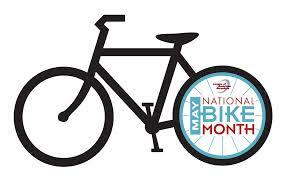 This month is intended to educate and encourage more people to commute by bike. People often hesitate to try biking to work for many reasons. They are afraid it will take too much time. Biking in the rain looks gross. They don’t want to arrive sweaty and disheveled. This month attempts to fight these fears by spreading the benefits of biking and the available resources for bikers. Our biking tips and testimonials will address how to handle these very issues, and hopefully show that commuting by bike is actually easier than it looks. We also encourage everyone in the SPU community – whether staff, student, or supporter – to try their hand at biking this month! Even if it is just for pleasure, biking is a healthy and eco-friendly way to get around. And with decent(ish) weather and a whole community of new bikers, May is just the month to try it! If you want to share a biking story or ask questions about the dive into daily bicycling, please comment away! Click these links for more information about busing with bikes, navigating Seattle’s streets, and the Commute Challenge.